Efficiency is the name of the game these days. It’s no secret that “doing more with less” is the mantra of almost every business in the US today. In that quest for efficiency, a close examination of the accounting department might be one area that’s been overlooked in the past. 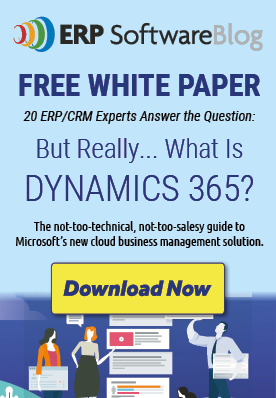 Investment in an accounting or ERP system such as Microsoft Dynamics GP can be a big decision. As a business owner, it’s important that you fully utilize the product – and services – you’ve just invested in. If you do, you’ll find that the seven steps to efficiency won’t be daunting at all. In fact, you’ll probably already have them covered!